Sources for cat5 snake with 2 XLR channels. one of the acts I'm touring with owns a iLive system (T80 + IDR32/16). The snake they bought with the board a year ago is more "install-grade" than what you want to have on a touring rig. We had two major failures last week (system froze with the left main channel muted and total loss of control ) After investigation from the candian importer, it was discovered that there was a problem with the cat5 cable and with the ACE connector on the surface. The connector got fixed, and we have loaner snake for the time they fix ours. But it is time to buy a better snake. I also use 2 channels of analog processing for the two money channels (XL42/Distressors) so I would like at least two analog lines included. I was thinking 2 cat5, to have a backup. The canadian importer only sells install-grade snakes, so I am looking for a source in Canada, for a 2 cat5 with ethercon + 2 XLR tour-grade 250' snake. Anybody has an idea where I can get something like that? BTW, I live in Canada. Re: Sources for cat5 snake with 2 XLR channels. Getting everything you want in a single jacket may be both difficult and expensive. Why not just get a couple of rugged duty ethercon cables from a quality manufacturer like Wireworks, or Whirlwind, and a 6pr audio snake, and bundle them with your FOH power cable. It won't be a big bundle, it will be easier to replace a component that fails, and it can still be handled as a single cable run. I would want at least the 6pr audio cable if you are already dedicating 2 to microphones. You probably will want a channel or 2 for comm at some point, and a talkback line to a monitor console. Link USA makes a catv / analog solution as well as a cat6 aes rated solution I know they make a 2/16 but don't remember if the other is 2/8 or 2/32. Complete redundancy would be to have 2 individual ACE ports for parallel connection. This can be done between iDR MixRack units and the M-ACE cards, which have dual ports for either redundancy, or daisy-chaining/digital split. The T surfaces only have one ACE port, so redundancy is not possible with these. 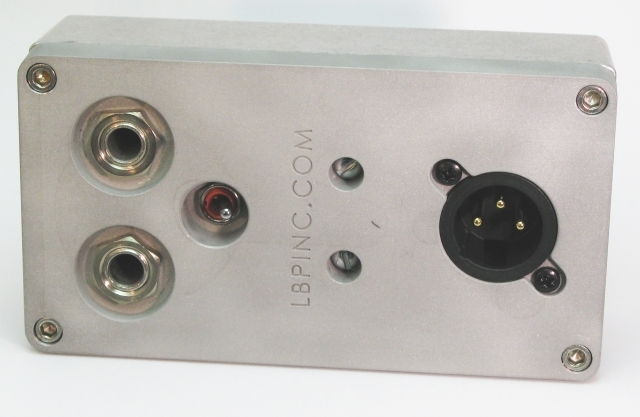 With managed switches, you would be able to have a two cable system in-between the surface and the iDR, but connection from the switchers to the iLive units would be a single connection, so redundant to a certain level. It is possible to use the network connection between a T surface and an iDR, though this won't transmit the audio, control only. The system seems to have issues when the ACE and network is connected simultaneously to the same units. And the Editor software would be a redundant controller in this case anyways. thesuperspike, please go to your profile and put your full name in the name field. Thank you or your cooperation. We decided to go the with the solution proposed by Mac: separate cat5 and audio snakes, bundled together. Easier to change one of the elements in case of failure, more choices of retailers = better prices.